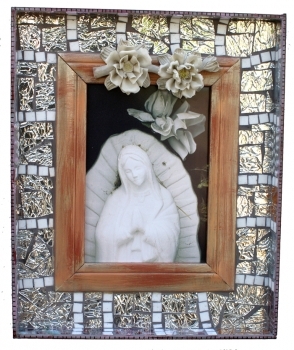 color photo handmade mosaic frame 22" x 27"
Virgina Mary White was taken at a Mexican cemetery. 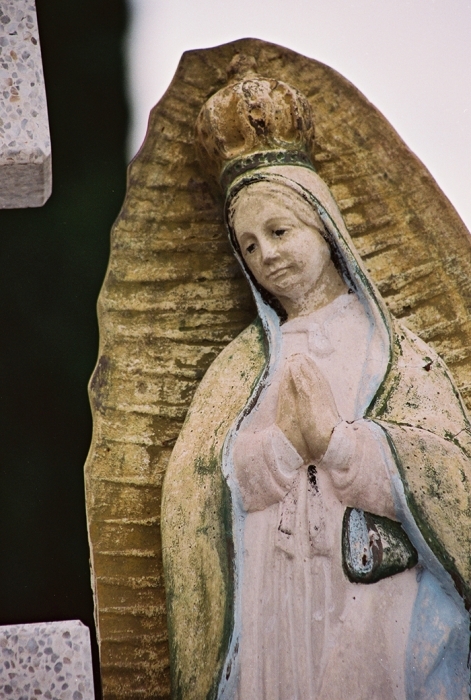 The fanciful grave stones and Virgin Mary of Guadalupe statues caught my attention and I wanted to re-create shrines. 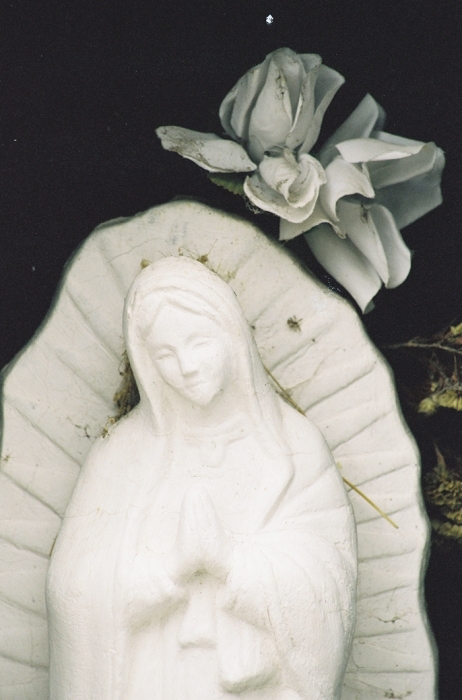 Although they are religious symbols, I like to think of them more as visual sculptures of female protectors. 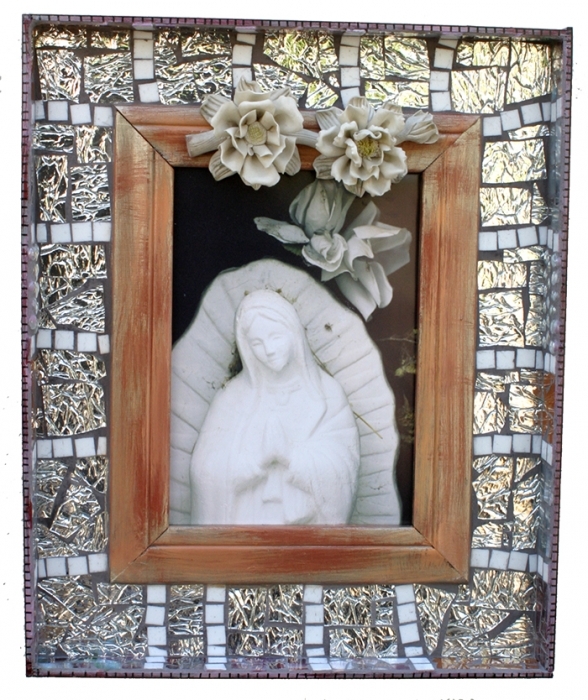 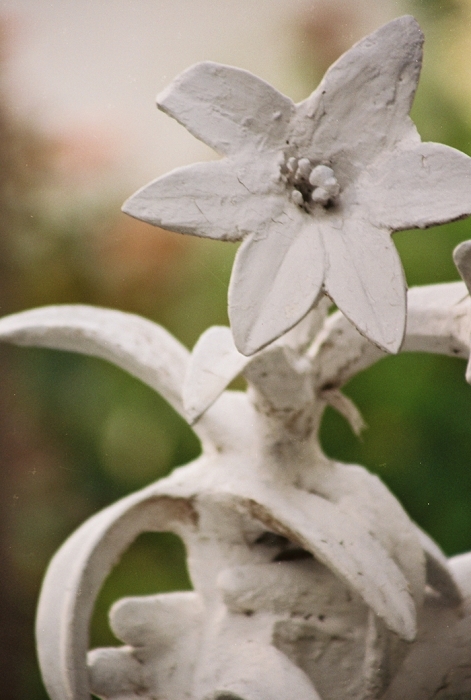 This piece had a clean white vibe which I tried to enhance with the mirrored mosaics and delicate white ceramic flower reminiscent of the flowers left by family members by the grave sites.